Dept of Biomedical Sciences and Morphological and Functional Images , Sec. Biology and Genetics, University Messina, Italy. Via C. Valeria 1, 98125, Messina, Italy; IRCCS Centro Neurolesi "Bonino-Pulejo", Messina, Italy. ...Urinary determination of TMA/TMAO ratio in 158KK/308EG individuals showed a considerable reduction in FMO3 activity although they do not show the classical features of trimethylaminuria as a strong body odor and breath. Our data support the conclusion that trimethylaminuria is not always accompanied by a fish-like odor, despite the coexistence in the same individual of the two variants 158K and 308G, and other factors account for the expression of that phenotype. This is an interesting recent paper on trimethylaminuria and FMO3 by a group of researchers in Sicily. The premise seems to be to see how many of 3 common FMO3 variants were present in a group of Sicialians and Sardinians (528 people), as well as a much rarer severe mutation. From the abstract it is unclear why the research was carried out. An FMO3 protein is made of a 532 amino acid sequence followed by a stop codon. The relatively common FMO3 variants the researchers looked at were at codons 158, 257, and 308. In particular they were interested in the amount of people who carried both the 158 and 308 variants, and even further in those that had the variants from the same parent (i.e. on the same allele). It is known for sure that having the 158-308 faults from the same parent can reduce FMO3 function to a degree. Some research seems to imply that getting the 158-308 combination on different allelles (i.e. from separate parents) may also reduce function. A normal person would have the pattern 158EE/308EE for these 2 codons. It seems that a reasonable amount of people tend to carry at least one variant at these 2 codons (e.g 158EK or 308EG). In this study the researchers tested those with a 158KK/308EG with the trimethylaminuria phenotype test (urine test) and found them to have reduced function of FMO3 according to the results. The researchers go on to say those with 158K/308G that are positive for TMAU in the urine test in the study do not smell. However it would need to be confirmed how they come to this conclusion. It seems many people with TMAU seem to be intermittent, especially if carrying variants rather then severe mutations, and perhaps those positive just did not smell at any time in the presence of the researchers. So on the one hand the research was an interesting insight into these common variants in a population and how it effects them in the TMAU urine test, but the conclusion that they do not smell would seem to cause confusion. Unfortunately since so little research is done into TMAU, it may be generally assumed as fact that such cases do not smell, with no new research to disprove this conclusion. Would you please let us know the status of the gut microbe testing? I wonder if having tmau alone will not cause a person to have odor, maybe the people who test postive for tmau but have odor ALSO have what ever condition the rest of us have that cause odor, even though we tested negative for tmau? 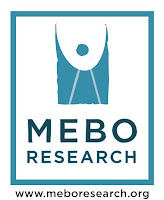 MEBO has been very dedicated to expand research in order to develop testing for sufferers beyond only TMAU testing in an effort to identify other causes of body/breath odor conditions. I believe that most experts do agree that since such a low percentage of sufferers test positive for TMAU, and even some of those who test positive cannot control their symptoms with the TMAU management protocol, there has to be other causes. MEBO’s ultimate goal is to pursue research to indentify these causes and to discover effective treatment for each condition identified through research. Having said this, our top priority is to protect each sufferer who may participate in the research, and for this reason, we have created a federally registered MEBO Industrial Review Board (IRB) whose primary function is to ensure that the rights and well being of subjects of the research projects are well protected. Low-cost, high quality gut microbiome research project is something MEBO has always wanted to pursue, and especially since September 2012, we’ve been working on developing a good research program. We are now working on the documents to be presented to the MEBO IRB for their approval. If everything is in order, as expected, we will announce the commencement of this program. Please keep in mind that, like all negotiated projects, nothing is guaranteed until it is approved in all phases of development. I cannot give you a timeline at this time, but hope it will come to fruition sooner than later. It will be posted in this blog.